One of the many rewards from reading good novels is that they can teach you about something new in a gentle narrative way. Sometimes it’s something you didn’t realise you wanted to know about. I would never take a course in quantum physics, but this book for eight years and upwards not only taught me about quantum physics, but also gently taught me to make peace with my lot in life. And alongside the complex subjects and depth of thought, there was a dose of humour, and allusions to bananas. Albie (named after Einstein) by his scientist parents, is a curious Year 6 boy, who is grieving for his mother who died just two weeks before the book begins. 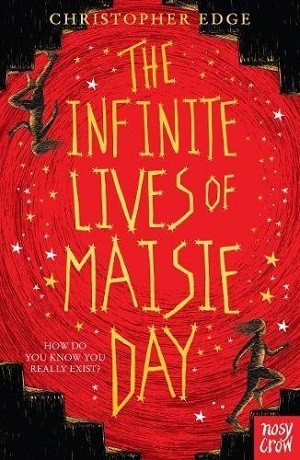 To assuage his sadness, and to discover where she might have gone after death, he explores the idea of parallel universes – could she be alive in a different time and space? After studying Schrodinger’s cat theory in a book (and Edge explains this particularly well), Albie tries to recreate the experiment and transport himself to a parallel universe using a box, a laptop and a rotting banana, in the hope that, in that universe, his mother might still be alive. To his, and the reader’s great surprise, it works. Although, of course, if there is one parallel universe, there must be many – and each one is slightly different from the next. Albie doesn’t find exactly what he’s looking for, but he finds out some intriguing answers to some very powerful questions. With every new universe, his family appears in a slightly different guise – this conceit works very well in imbuing a child with empathy – being able to see their own situation differently, and also view things from the point of view of those around them. Albie is confronted with the death of different family members, a disability, and his parents’ and his changing success in the various universes. All of which open his eyes to his own reality. This is an extraordinary novel for children that sets out to explore the possibilities of our world – like a child itself, and like science itself – discovering and exploring through experimenting and seeking. Although it throws up questions about life and religion and death and science and meaning, it’s all on a level that can be understood by any eight year old. An admirable feat. It also incorporates other elements of science, as well as quantum physics, such as space exploration, energy resources and suchlike. There was considerable sadness at Albie’s mother’s death – at times it was highly emotive, and this did drop a pin of doubt when reading – a sensitive child may find it difficult. 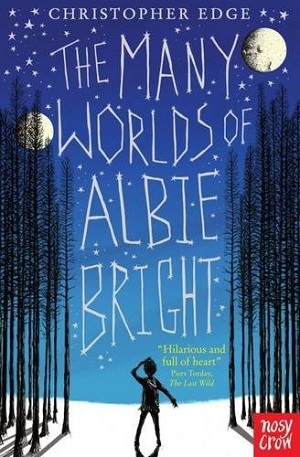 The different scenarios of Albie’s life in the parallel universe may need some unpacking (it’s a book I would encourage conversation about) – I was saddened more than once at Albie’s experiences and ‘what ifs’ – but the answers at the end of the book do provide a satisfactory conclusion for this age group. There are many lovely humorous incidents too, for example Edge’s explanation of an NQT (not-quite-a-teacher) made me laugh, and the scenes are painted vividly. Dipping into the book is like entering a brave new world for today’s child – they might even find some answers to questions they weren’t asking. You can buy your own copy in this universe here. As a writer I am constantly overwhelmed by the amount of advice out there for budding authors. Blogs, podcasts, books, individual tweets, facebook groups. The advice goes on and on. In the end, I always feel if you want to write, sit down and WRITE. However, for the youngest among us a blank piece of paper can be quite frightening and a little guidance can help. 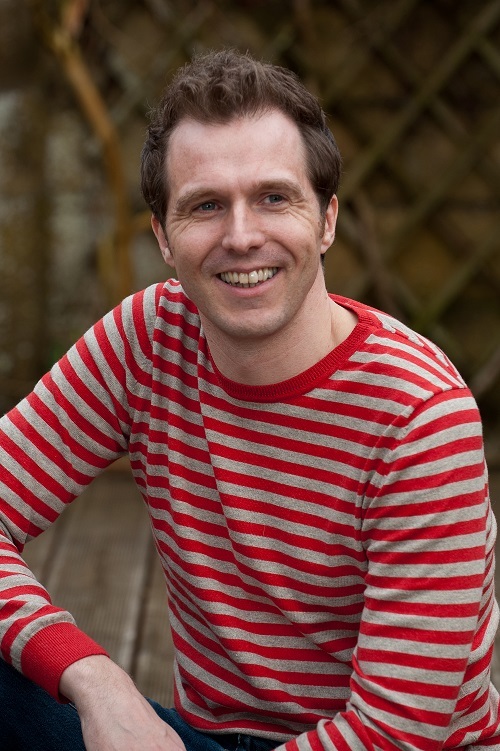 Christopher Edge, author of fiction such as the Penelope Tredwell series, has written a sensational learning accompaniment to creative writing. 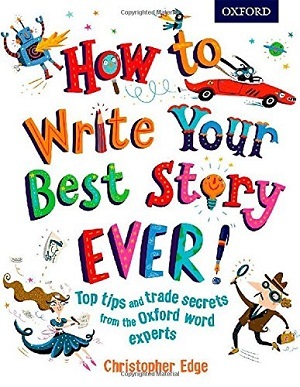 In fact, it made me revisit some of my own writing and proved an invaluable resource for my daughter, who is fast rivalling me for story-telling prowess. Firstly, thanks to imaginative and colourful illustrations, it doesn’t look like a learning resource at all. It comes across as a fun, informative and creative non-fiction children’s title. The first half covers a range of different ideas and definitions and starts with how to get inspired. It draws on the very powerful question ‘what if?’, as a start to using imagination, and also explains that the simplest newspaper headlines can inspire a novel. It highlights making notes, using dreams and just having a go, even if you don’t know where the story will end up. In between the hints and inspiration are informative notes about grammar and vocabulary. Christopher Edge outlines setting a scene, delineating a character, and how to incorporate setting and character into the action. He explains tenses and why not to mix them up, how to open a story, incorporate dialogue, introduce red herrings, how to end – and then how to edit. This is a really important skill, and something that’s easily forgotten in the rush of excitement brought by finishing a story. Re-examining your own text though can be crucial to making improvements and Christopher handles it well with a web of questions to help edit. There is a huge amount of detail and interesting pieces set out in fun ‘inspiration stations’, such as fabulous titles, quotes illuminating how a character is portrayed in dialogue, as well as little circular bubbles with hints “If you can’t tell which character is speaking you might need to change the dialogue”, and ‘red alerts’ to explain difficult grammatical constructs. With thanks to OUP for my review copy.